Get the lowdown on what to expect from solo play! We’re six weeks post-launch, can you believe it? 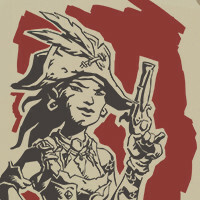 Every day the number of Pirate Legends in Sea of Thieves grows – however, the game is still young, with new players embarking on their first voyages daily. Somewhat geared toward said new pirates, last week’s Inn-side Story featured a discussion between Senior Designers Andrew and Shelley Preston on the experiences you might have if choosing to brave the seas alone. They also touched on what it means to be part of a larger crew and why you should give it a shot! That’s all from us for now! Stay up to date with us via our social channels for more frequent updates on everything Sea of Thieves.